Random card draws that might be nice. 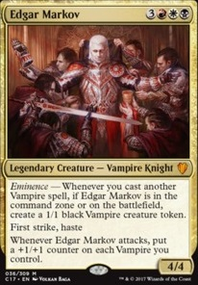 Mentor of the Meek Although not a vampire, will trigger when Edgar triggers. Crash Through Might be useful for blowing through opponents with a ton of vampires, and letting you draw a card as well. Ok, lots of cards there. I think for milling creatures, you should go with Hermit Druid, Undercity Informer, and Gisa and Geralf. Altar of Dementia should go in, too. For recursion like Oversold Cemetery, Meren of Clan Nel Toth will be great. Palace Siege is another good option. Also, Eternal Witness and Regrowth. I don't think Reclaim and Vile Rebirth do enough in here. I see why you have Repopulate, Death Denied, and Gravepurge, but not sure there aren't better cards to go with, like maybe Haunted Crossroads. I think I'd get rid of cards like Cremate and Dark Dabbling. If you have them there mostly for the cantrip, better card draw engines like Necropotence, Phyrexian Arena, and Rhystic Study will serve you better. Sylvan Library would be better for card draw early on. 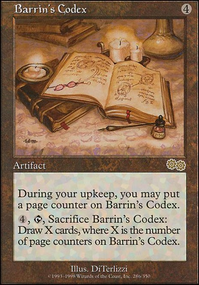 Also, it goes along with the library manipulation I mentioned earlier with cards like Mirri's Guile, Soothsaying, and Sensei's Divining Top. Rooftop Storm + Altar of Dementia + Gravecrawler give you an infinite win combo if you can get the pieces set and go off. I always like to have some combo like this in a deck if I can work it it. Fatestitcher is a great Zombie to have, too. Intruder Alarm might also provide some combo potential. 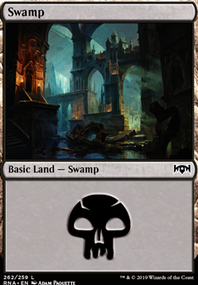 To help your mana base out, consider adding lands like City of Brass, Reflecting Pool, and Command Tower, along with Commander's Sphere to smooth the colors you need. Shambling Ghoul, Slitherhead, and Winged Coatl don't seem to fit with what you want do here, and I think those could be replaced. I'm not sure the infect theme would fit in with what you want to do here, but that's up to you to decide. I hope this helps some. Sunscape Familiar will likely get ax'd once I get near 100 cards since it doesn't offer anything aside from blue reduction. Nightscape Familiar is in the mail though, makes for a decent chump blocker later one in addition to the reduction. I might add 1 more rock. These are mostly all cards I already had in another deck. This is casual build obviously and isn't supposed to be the cookie-cutter type. Main Win-con will end up being creature/Commander damage in the end; most likely a result of Reiver Demon or Scourglass going off with my Artifact Creatures on the field. Or dropping Open the Vaults in the late game. The fun part is figuring out how to get there. This is still being tinkered with. Well what's wrong with one cabal coffers when you can have Nykthos, Shrine to Nyx for an asston of mana! Some awesome card advantage would be Liliana, Heretical Healer Flip or basically any of the Lilliana cards! 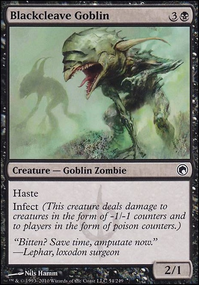 But since you run so few creatures, my suggestion would be to take out some one time card things like Altar's Reap and Dark Dabbling for something like a Grave Titan and a Rakshasa Gravecaller for more zombie token spam! 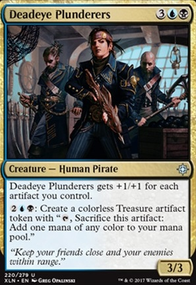 Of course, no true overwhelming zombie deck would be complete without a Sidisi, Undead Vizier because that's a tutor on a body! Of course since you're on a budget below 200 bucks these are the best I can offer you without you potentially going over budget. Since your deck does seem to run pretty heavily on creatures, particularly Yidris, I might suggest some wrath contingencies. Golgari Charm, Wrap in Vigor, Dark Dabbling, and Wail of the Nim are all possibilities. They don't actually save you from Wrath of God, but you miss out on all boardwide indestructible giving effects since white is your missing color. What's the point of Zada, Hedron Grinder? As far as I can tell it only interacts with Dark Dabbling and Long Road Home. In its stead I would conciser something like Mirrorwing Dragon that can trigger off your opponents spells, or simply run another defensive effect like Solitary Confinement. That being said I feel that this deck is trying to be more of a tokens deck, rather than a pillow fort deck, with effects like Adriana, Captain of the Guard, Carnage Gladiator, Havoc Festival, Hanweir Garrison, Mardu Ascendancy, and Behind the Scenes to name just a few, are pushing you towards a much more aggressive game plan. To this end I would probably be looking shift the focus away from mediocre defensive cards like Marchesa's Decree and Protector of the Crown in place of anthem effects and further token generators. *I'm thinking of not using Lightning Bolt in favor of any of the 2CMC instant or sorcery cards (too many to list) that deal at least 3 damage to save on $. Other cards I'm trying to decide whether to leave in or take out are Satyr Firedancer, Howl of the Horde, Dash Hopes, Brimstone Volley, Searing Blaze, and Mizzium Mortars. P.S. I'm tying to keep the deck at $30 and under, but it NEEDS to be $40 and under.